Public infrastructure company decentralizing blockchain finance. Secured investments from Global Advisors Limited and CoinShares Fund 1LP. ICO Alert: For those who are not familiar with CommerceBlock, can you explain what it is, and what the team aims to accomplish? CommerceBlock: CommerceBlock is a public blockchain infrastructure company that is building a platform to decentralize finance over public blockchains. CommerceBlock is offering a platform that provides a set of tools that allows anyone to build and use services to construct contracts, manage trade flows, engage in multiparty dispute management, issue assets, and hedge currency risk. Their primary goal is to create a system that both developers and end-users will be able to execute all the above-mentioned tasks. One feature that is worth mentioning is that BIP175 is going to be implemented on their system. For those who don’t know about BIP, the term BIP stands for Bitcoin Improvement Proposal. The Bitcoin Improvement Proposal is a standard to submit potential changes or improvements that will have a positive effect on the Bitcoin protocol as a whole. ICO Alert: How does the CommerceBlock token function within the platform and why is it needed? CommerceBlock: CommerceBlock plans to issue CommerceBlock Tokens (CBTs), a network token that will be tracked on a public blockchain. To use services in the CommerceBlock ecosystem, customers will have to pay in CBTs. The token will be initially tracked on the Ethereum blockchain using an ERC-20 smart contract. When a sufficiently viable sidechain or colour coin scheme is available on a more secure public blockchain, we will transfer the value there. We imagine a future in which customers using our infrastructure will also require payment in CBT, creating an ecosystem of applications revolving around CommerceBlock. The CommerceBlock network token lays the foundation for a public blockchain based ecosystem of trading platforms and infrastructure companies. Companies that download our SDKs will be fully integrated with CBTs out of the box. By building a self sustaining ecosystem of companies that accept CBTs, an emergent network of developers will be incentivized to improve upon and help maintain the open source libraries that CommerceBlock releases. In this respect, CBTs have a binding effect: companies that build useful infrastructure using the CBTs will increase its value, providing further incentive to improve the libraries. This tightly couples the success of ecosystem companies to the CommerceBlock network token. ICO Alert: What unique experience does your team bring that puts CommerceBlock in position to be successful? — Experienced team in Bitcoin, track record in github to prove it. — Real product and live clients. ICO Alert: Who will the users/clients be on the CommerceBlock platform and what are some examples of use cases for them? ICO Alert: How far along is the development of the templated in-channel Lightning Network contracts and how will they be used within the CommerceBlock infrastructure? 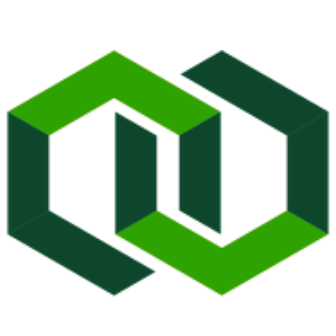 CommerceBlock: We reference implementation in our github. It will be reused for more real time approach and for derivatives as we can peg to an oracle. ICO Alert: How will the 30% of the CBTs being reserved for Enterprise Integration partnerships be distributed? Who are some of the potential partners? CommerceBlock: We are partnering with open source developers who are looking at implementing tools for the CommerceBlock Network. Also, infrastructure companies in the blockchain space. ICO Alert: Will it be possible for physical assets to also have the ability to change hands through the use of the CommerceBlock platform or will it be limited strictly to digital assets? CommerceBlock: Yes. If you see BIP 175, that is what it’s all about. ICO Alert: What does success look like for CommerceBlock? What are the biggest risks and challenges CommerceBlock will need to overcome to consider the project successful? CommerceBlock: We are successful already. Long term success is building a layer 2 solution for mass adoption in a B2B capacity of public blockchains. ICO Alert: How far along is the project today and when can contributors expect to use the platform? What does the roadmap look like for the rest of 2017 and 2018? CommerceBlock: Will be live in Q1 2018. We plan on and will be the first token used in real production use. ICO Alert: As a non-CommerceBlock question we like to ask for unique predictions for the ICO and cryptocurrency space in the future. Where do you see both in the next 3–5 years? CommerceBlock: ICOs will probably calm down. As the technology shows maturity, strong technology solutions will be published before going to ICO. Cryptocurrency is now ready for mainstream adoption. The changes to governments will be immense. Decentralization won’t be the word, cryptocurrency will bring transparency to the world. Financial services will have to be transparent in what they do. The main ICO began on November 28, 2017 and will end on December 19, 2017. There are a total of 400,000,000 CommerceBlock tokens (CBT) available during the main ICO, representing 40% of the total CBT supply. There are a total 1,000,000,000 CBT being created, with 400,000,000 CBT available during main ICO. Once the purchasers payment has been confirmed, they will be put in an allocation queue based on the block height that their transaction is confirmed in. Each user will be given a unique deposit address to ensure miners cannot game transaction-ordering and temporarily censor transactions. Tokens will be allocated and distributed asynchronously after being processed through the queue. Visit the CommerceBlock website for more information and the contribution address. Nicholas has a background in technology and finance. He has held senior roles at Merrill Lynch and JPMorgan. He also has been involved in Bitcoin since 2012 and has been working in the crypto space since 2015. Omar is a technology startup veteran having had leadership roles at Zocdoc and Eyeview. He is also an open source contributor to crypto projects on Github. Dan is a seasoned ex-business analyst in an FTSE 50 finance company. He also has experience as miner, trader, and investor of cryptocurrencies since 2013. Shachaf is a UX/UI designer with years of experience and a passion for cryptocurrencies.